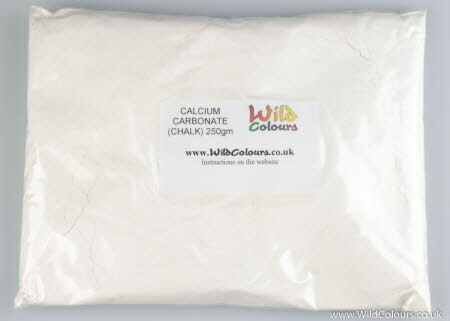 Calcium Carbonate (chalk) is used to produce good colours when dyeing with madder & weld and provides hard water conditions (see 'Dyeing with Madder' and 'Dyeing with Weld' pages) - SAVE £1.50p over the 50 gram price of Calcium Carbonate. The Calcium Carbonate is weighed and packed in a polythene grip-seal bag. The bag is then labelled and put in a second grip seal bag for extra protection. I then place the packet in a small padded envelope and post it to you First Class.